How did oppos weekend go? I knocked a couple big items off the Daihatsu’s list. Changed the clutch and replaced a cv joint. 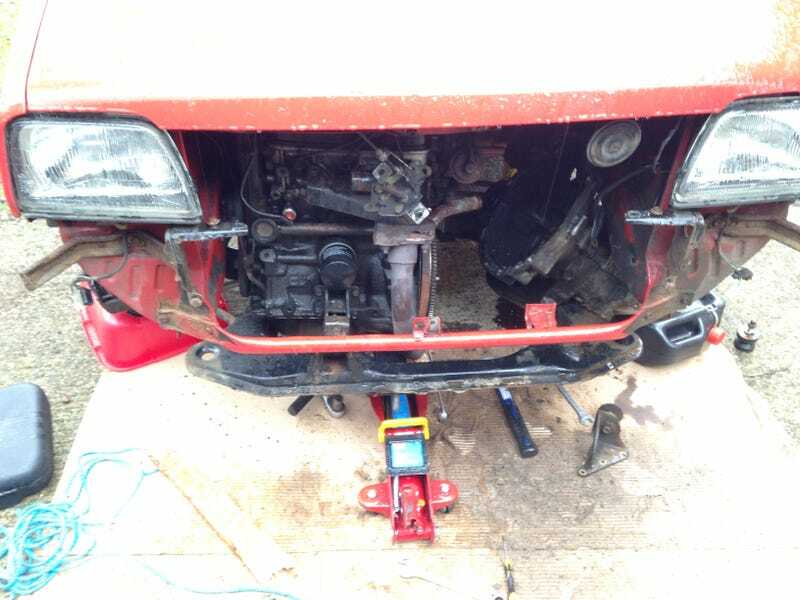 It became a big debacle since the Daihatsu is so small you have to lower the subframe quite a bit to get the gearbox moved enough. I had to undo most of the wiring, fuel hoses, steering UJ, suspension etc etc. She’s back together now though and drives much better without the old slipping clutch.